Just when you start to get into a groove with your stepchild’s teacher where you’re receiving a copy of all of the school paperwork and everyone is working together, BAM! It’s summertime. And then you have to start all over again! If you’re frustrated with the start of school looming around the corner, I have a solution for you! When I met my stepdaughter, she was in pre-K, and now she’s heading into 3rd grade. 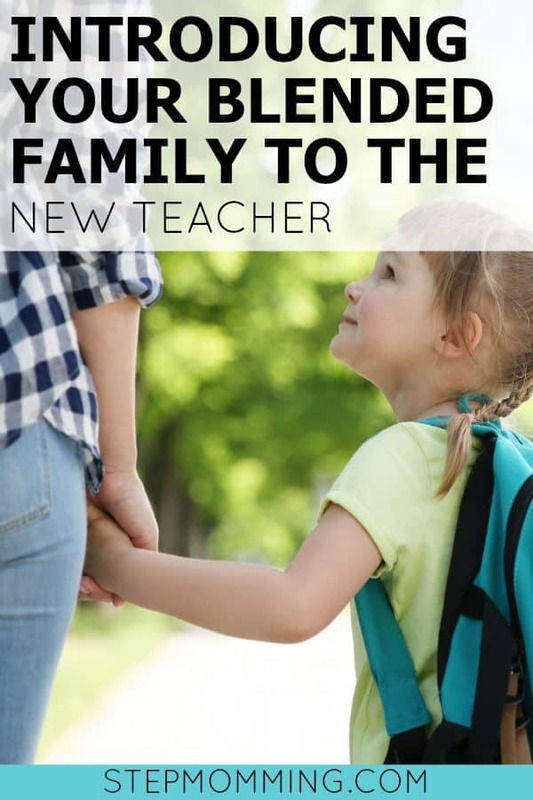 I’ve had a few opportunities to introduce our blended family to her new teacher at the start of a school year. 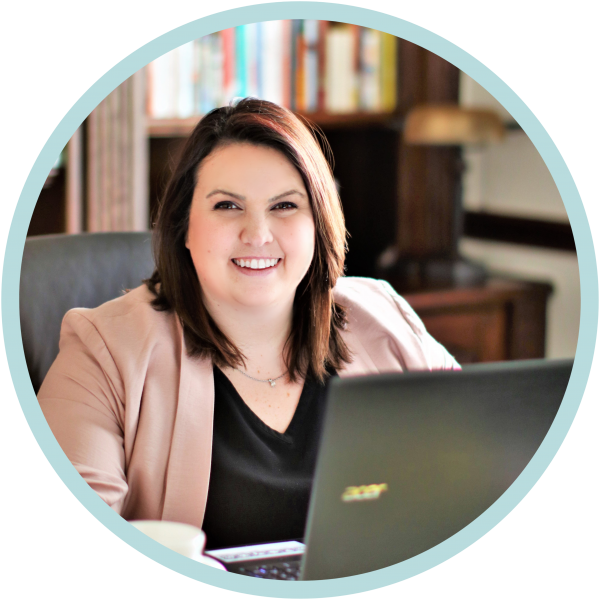 I’ve found a few things that work and a few that don’t, and I’m excited to share them with you! It helps to be completely honest with your stepchild’s new teacher. We are very direct when we let the teacher know our situation: Mom and Dad are divorced, both are remarried, and we’re amicable. The D-word can cause alarm, which is why I add that we’re friendly to make sure the teacher knows she doesn’t need to walk on eggshells around us. Your stepchild’s new teacher doesn’t need to know that this is Mom’s 4th boyfriend in as many months; she doesn’t need to know you’re in the thick of a nasty court battle and all of the corresponding details. If things aren’t amicable or civil, that’s perfectly fine to state, but don’t move from helpful to harmful. Whether everyone can be there for meet the teacher or the first day of school or not, make sure all parties are introduced to the teacher. She should know who Mom, Dad, Stepdad, and Stepmom are – not just 1 set of parents or just Mom or Dad if Stepdad and Stepmom are actively involved in the child’s life (and she should definitely know who the stepparents are if they’ll be participating in school parties and field trips or picking up from school). There’s no need to choose sides between Mom and Dad; your stepchild’s new teacher is on your stepchild’s side. And rightfully so! She can properly communicate about your stepchild without picking sides. Make sure the teacher has contact information for everyone. Of course the school has emergency contacts on file, but I also make sure our teacher has each of my stepdaughter’s 4 parents’ email addresses for class updates and phone numbers just in case she needs to get a hold of someone. Then you need to think through and communicate your preferences. Does everyone want the weekly update or monthly newsletter? Do you need 2 copies of report cards sent home? Can they be sent home on the same day and coordinated between your family or do you need 1 on Mom’s day and 1 on Dad’s day? I totally get that you want the same respect as your stepchild’s biological children; I still cringe when someone suggests I’m not a “real” parent. But if your stepchild’s teacher is adamant she wants to communicate with Mom and Dad, then you need to sit back and accept her decision. Legally, stepparents don’t have the same rights as parents, and as wrong as that may be in our eyes, it’s our reality. At that point, it’s your husband’s responsibility to relay all messages to you. I’m a very organized, detailed person, so I lay it all out for the teacher. I present the custody schedule in a school-friendly format (e.g., Dad drops off on Thursday, mom picks up on Thursday) along with the method of transportation each day since my stepdaughter rides the school bus on our days and is a car rider on Mom’s days. Her teacher doesn’t need all of those details to begin with, but it’s something she can look back on to reference when necessary. Looking for the perfect way to communicate these details to the school? I’ve decided to share the exact same form we use to communicate with my stepdaughter’s teacher each year, exclusively for members of the Stepmomming family. It’s proven very effective for us, and I know it’ll help you too! Subscribe to Get Your FREE Blended Family Back to School Form! 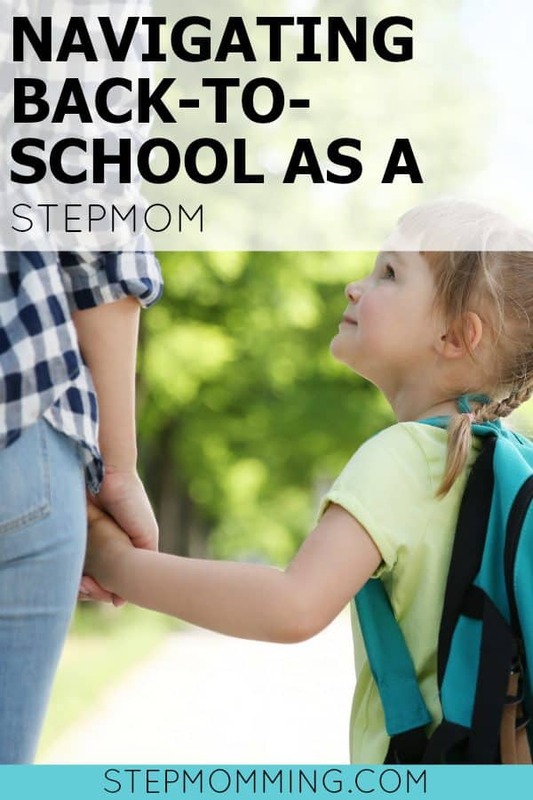 Exclusive for Stepmomming subscribers, Blended Family Back to School Form sent directly to your inbox! In fact, when you subscribe, you’ll get access to ALL of our freebies! PS: Is everyone getting along well? Consider taking your blended family to the next level with whole family outings!